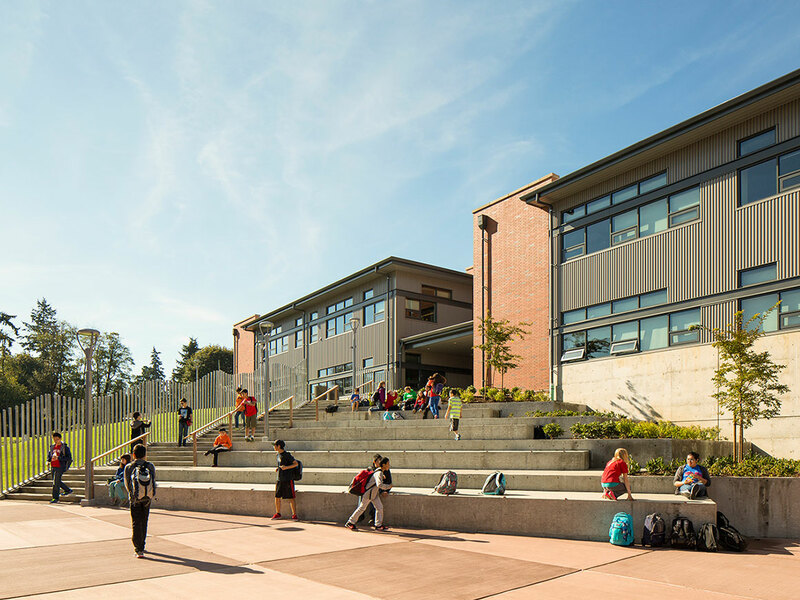 In taking an experiential approach to site design, the outdoors come inside as murals throughout the school’s halls celebrate the native plant palette. Outdoor classrooms extend the learning realm beyond the classroom walls, engaging students with their natural environment. 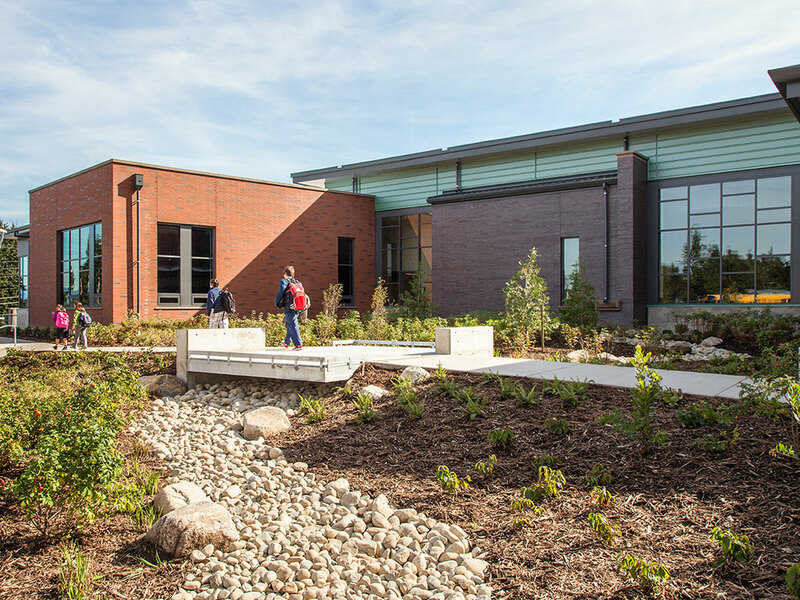 The new school grounds feature a student kitchen garden irrigated by rainwater harvesting cisterns. 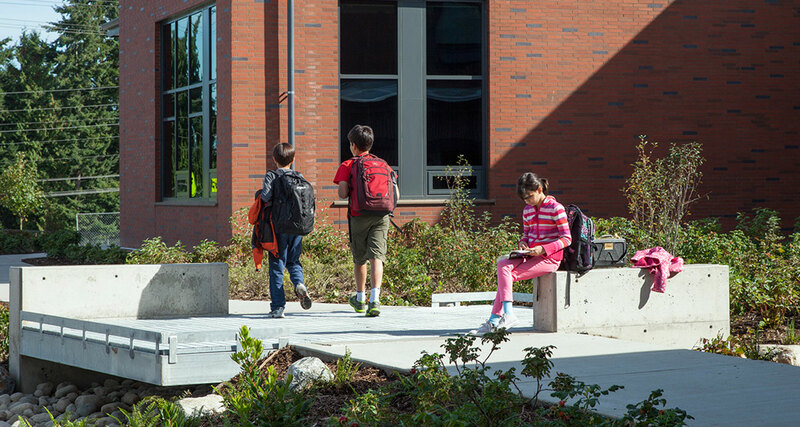 A custom bridge carries students over a daylit stormwater streambed, making nature the centerpiece as you approach the main entrance.